You may recall my post from last summer about all the outdoor fun Caterpillar and I were inspired to have by the Persil Dirt Is Good app. Teaching my son about the world around us is one of my greatest pleasures as a parent, but actually coming up with play ideas is not my strong suit so any guidance is always welcome. This week we’re reviewing a fab new activity book from Maverick Arts that is so much more than your usual sticker book or join-the-dots. 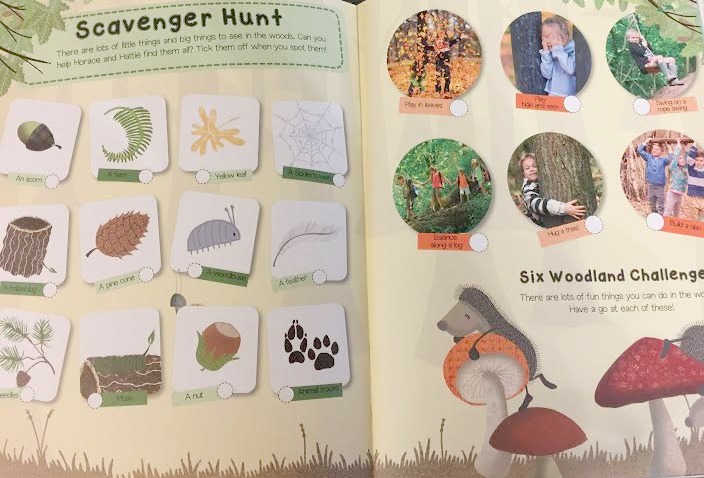 An extension of the adorable Hedgehugs picture book series by Lucy Tapper & Steve Wilson, The Woodland Hedgehugs Activity Book is all about nature and the outdoors, and is packed full of ideas for getting your kids interested and exploring outside. This book has so many ideas with everything from scavenger hunting & bark rubbing to identifying birdsong making your own musical instruments. You can easily adjust the difficulty level of games depending on the age of your child and their attention span. I’m excited to get outside during the warmer months to engage Caterpillar in all things wildlife. 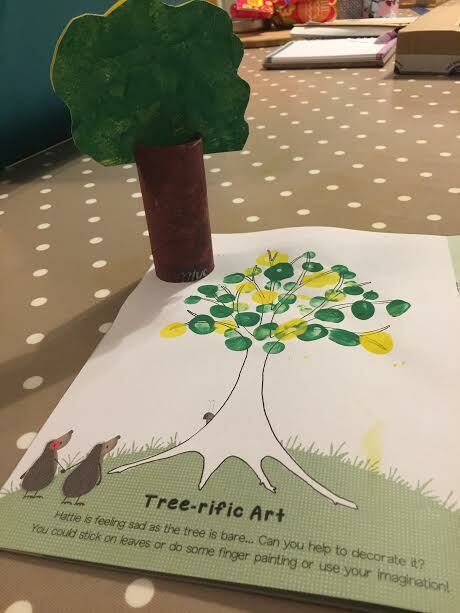 Meanwhile, the book also includes several indoor activities like making this yummy x and the tree arts and crafts we tried out this weekend. If your children are already fans of the Hedgehugs series they’ll love this interactive addition but they certainly don’t need to be familiar, my son wasn’t and he still loved the adorable characters and illustrations are adorable. If you’re looking for activity book with a difference I highly recommend. 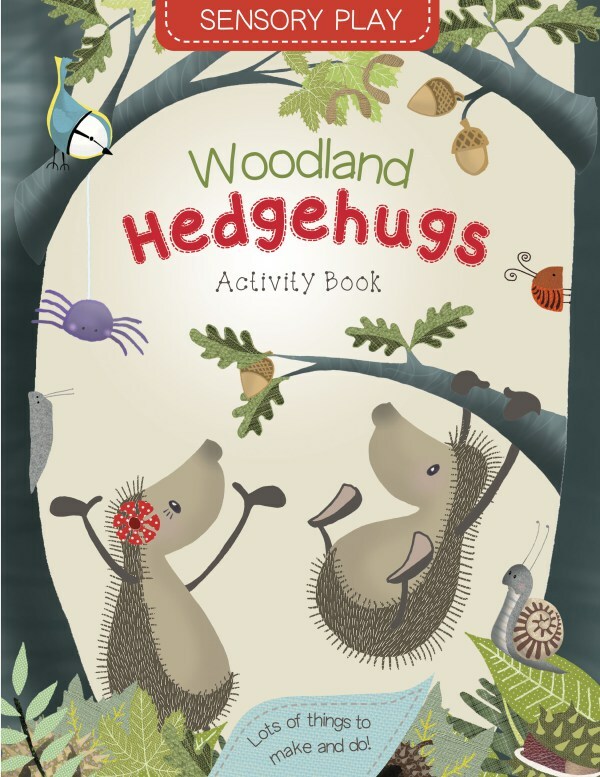 Plus, I have a copy of The Woodland Hedgehugs Activity book to give away so please feel free to enter below for your chance to win! You can find tons more children’s book reviews on my Butterfly Book Club page. 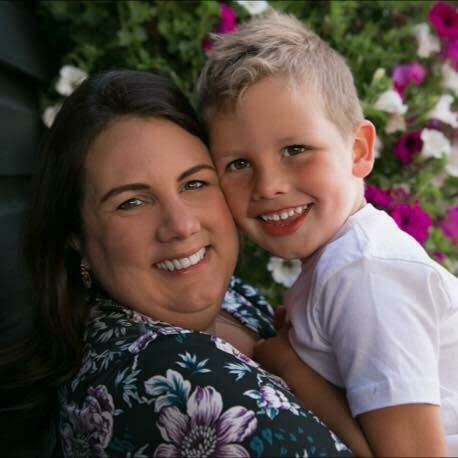 Previous Previous post: How do you explain depression to your children? Lovely prize. Children do love animals. Good for them to learn about outdoors, countryside etc.